Has your doctor prescribed you metformin? Let us tell you what you need to know about taking metformin. The medical term for metformin is biguanide. Brand names include: Glucophage; Glucophage XR; Diaformin; Diabex; Fortamet; Glumetza; Riomet. Metformin is the number one drug of choice by doctors to commence on when diagnosed with type 2 diabetes. Why is this? Working to improve the ways our natural insulin works in our body and helping to regulate blood sugars by its action on the liver, metformin also has been associated with no hypoglycaemia (low blood sugars); no weight gain (and some studies even suggest weight loss) and is generally well tolerated. It is one of the most affordable diabetes medications available and is increasingly being researched as it seems to have a number of other beneficial effects, playing a role in heart health, stroke prevention, cancer and general anti-ageing (Benefits of Metformin). Originally deriving from a plant, the French lilac, metformin has been around for a very long time, centuries in fact, and in its current tablet form since the 1970’s. Introducing changes to your diet and exercise in combination with metformin have the biggest benefits in regulating blood sugars. 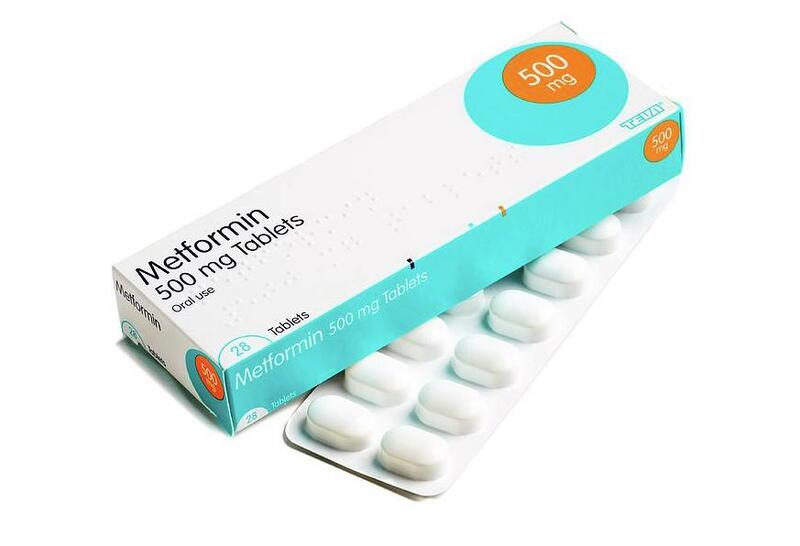 Sometimes Metformin is started in pre-diabetes to try and halt the progression to diagnosis and also in gestational diabetes, with or without insulin. It is commonly given in combination with other diabetes medications if blood sugars are not within normal range. It is really important to start on a low dose of usually 500mg once a day with food, increasing after 2 weeks to either twice daily or at an increased daily dose with your evening meal. You will then increase doses at these time-points as instructed by your doctor depending on the effects on your blood sugars. This is because most side effects are gastrointestinal, with nausea and diarrhoea being the most common (Metformin and diarrhoea). The usual dose of metformin is 1000mg to 2000mg twice daily but it can be taken three times a day with meals to try and further regulate blood sugars. Tablets need to be swallowed whole, not crushed (a liquid formula is available if unable to swallow). If you forget to take a dose it is best to miss and take the next dose as usual. Like many medications, there are some some side effects associated with taking metformin. Here are the side effects and what to do about them. About 10-50% of people report some diarrhoea when starting on Metformin (The Prevalence of Chronic Diarrhea Among Diabetic Patients). The introduction of extended release formulations has significantly decreased the incidence of this to about 10%. Flatulence, abdominal bloating also can happen and symptoms are often dose related. If you are experiencing mild or infrequent diarrhoea and it does not resolve within 2 weeks or is severe you must talk to your doctor as a reduced dose or change in formula can often be the answer. Most people do tolerate this drug well and with less than 5 % of all people on metformin having to stop taking it as a result of side effects. Nasuea is another common gastrointestinal side effect of metformin. This affects about 7% of people but is reported to be higher if not taking a slow release formula (definitely worth checking out what you have been prescribed) (Metformin in Noninsulin‐Dependent Diabetes Mellitus). If it is continuing then it is not normal and will need to be discussed with your doctor. It is important to have this medication at mealtimes to minimize these effects. About 30% of people taking metformin experience a reduced ability to absorb B12 from the intestine and this results in about 5-10% having a B12 deficiency (Vitamin B12 deficiency and diabetes). A low B12 level can result in fatigue and other symptoms seen in anaemia but also causes peripheral neuropathy- pins and needles or numbness in the feet or hands. B12 levels can be checked via routine blood tests. B12 supplements are available by a small monthly injection over 3 months if levels are depleted as it is difficult to get enough in our diet to increase levels. A few people complain of a metallic taste (up to 3%) (Metformin in Noninsulin‐Dependent Diabetes Mellitus) and this should resolve once your body gets used to the medication. If it continues talk to your doctor. Some people have noticed an odour from the metformin tablets that is fishy or like a “locker room sweat”. Again, this is an unusual experience but If concerned speak to your pharmacist as a different brand can be given. You need to be cautious and drink sensibly as metformin can interfere with the way the body works in the liver (Alcohol use of diabetes patients: The need for assessment and intervention). Remember that alcohol can also lower your blood sugars and put you at risk of hypoglycaemia. There are some conditions that can prevent you from taking metformin. The use of metformin is associated with lactic acidosis (Metformin associated lactic acidosis). This is extremely rare but very serious and accounts for less than 1% of all patients taking metformin. Since the removal of one type of metformin, phenformin, from the market a review of all patients over a 2-year period (11,800 patients) revealed only 2 cases. It often presents as vague symptoms due to a large build-up of toxic lactic acid in the body. Symptoms include nausea, vomiting, abdominal pain, breathing difficulties and low blood pressure: if suspected immediate medical assistance is needed. If you're having surgery or scans that involve administration of a contrast dye may require you to stop taking some medications. You may need to stop metformin on admission and not restart until at least 48 hours afterwards dependent on the advice of your doctors. The reason? To prevent any possibility of lactic-acid build up and ensure the kidneys and heart are functioning well. Is Sitting Making Us Sick?